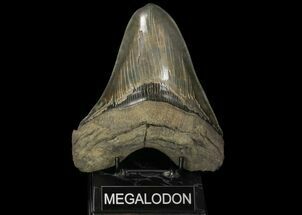 The Megalodon was the largest known predator in the history of the Earth, at least based on its weight. 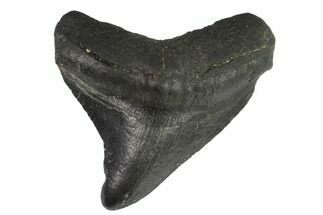 The sperm whale is a little bit longer, but also lighter. 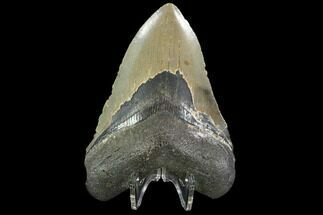 Over the years the size estimations of the Megalodon shark have changed, as the science surrounding it's evolution has progressed. 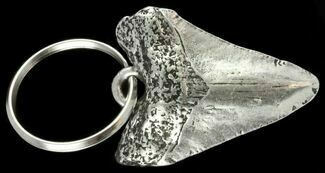 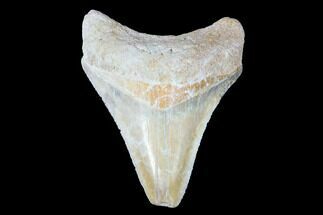 One of the issues in estimating it's true size is that the skeletons of sharks are made out of cartilage which does not easily fossilize. 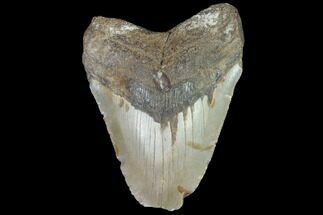 The leaves teeth as the only common fossils from which scientists can compute the size for this massive shark. 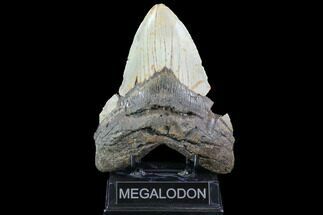 Most current, scientifically accepted estimates for the Megalodon's maximum size fall into the 60-70 foot range, with a weight of 50-70 tons. 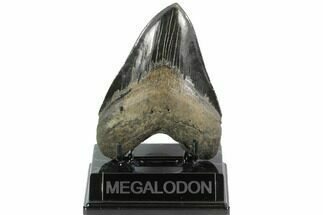 Compare that to the largest living shark, the Great White that maxes out at about 21 feet and 3 1/2 tons. 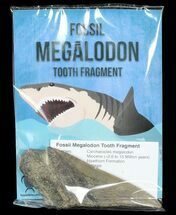 In 1909, Bashford Dean made the first attempt to reconstruct the Megalodon's jaw, in order to get a true estimation of size. 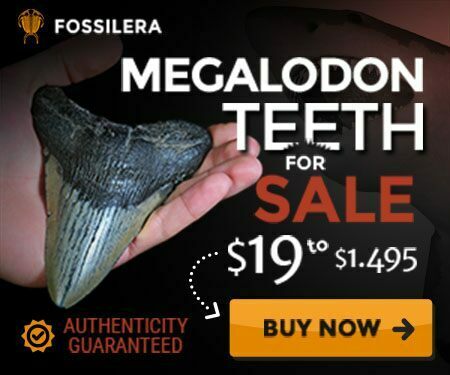 Based on the jaw reconstruction, Megalodon was estimated to be 30 metres (98 feet) long. 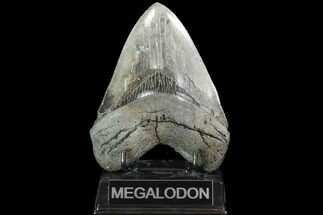 That was just the first thought on the size of Megalodon, though. 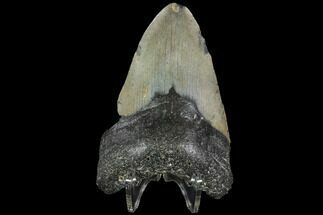 Over time, the development of scientific methods led to better ways of determining the size of extinct animals based on fossil evidence and jaw reconstruction. 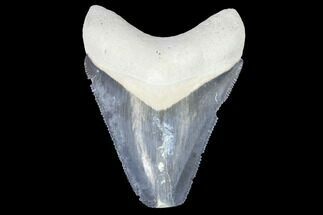 The new ways of studying these issues led to improved knowledge about the structure of the jaw, and also about how muscles provide structure through the jaw and into the rest of the body. 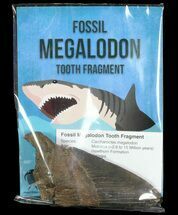 After careful consideration of Dean's findings, the size of Megalodon was revised downward, to be about 70 percent of the original assumption (around 21 metres, or 68.6 feet). 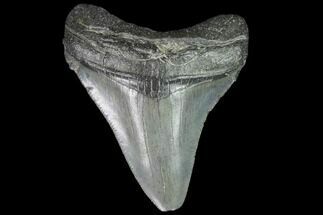 That size has held up relatively well through the modern day, and has been reaffirmed with newer techniques used for studying fossil evidence. 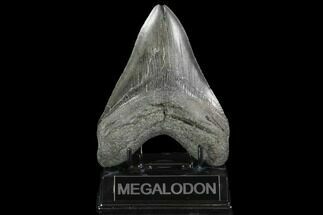 Originally the Megalodon was believed to be closely related to the Great White, but as more fossil evidence has emerged, it's been discovered these two sharks are not in fact closely related. 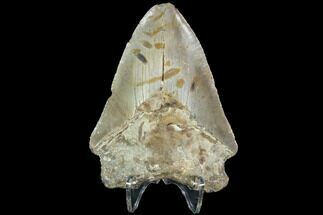 This lead to many of the original estimates being revisited. 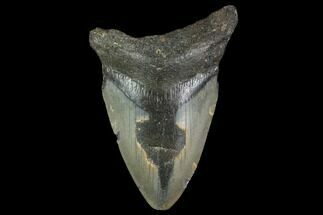 That provided more quantitative options that could be considered for estimating its size, which gave scientists a better opportunity for accuracy. 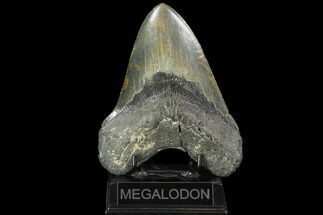 While there is no way to completely ensure that the size of Megalodon was what scientists believe it to be, all the evidence that has been found to this date points to an accurate depiction of its size as being approximately 60 feet in length. 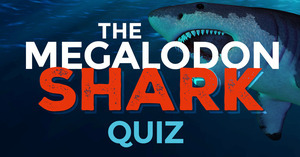 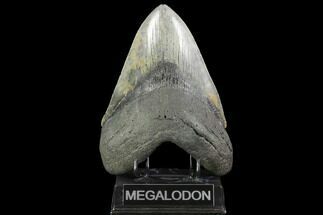 The Megalodon has been compared to the whale shark (around 12.65 metres, or close to 41.50 feet) and the scientific community has determined that Megalodon was larger, based on both weight and length. 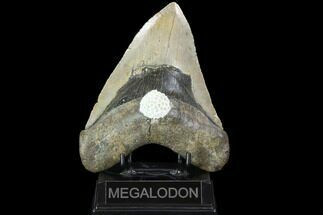 Megalodon was also far bigger than the great white shark, which would only be around half of Megalodon's size. 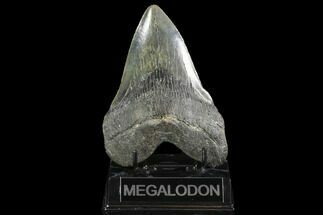 Megalodon has also been found to be far larger than the gigantic theropod dinosaurs such as Spinosaurus, T-Rex, as well as the large ocean going marine reptiles such as Basilosaurus, and Tylosaurus. 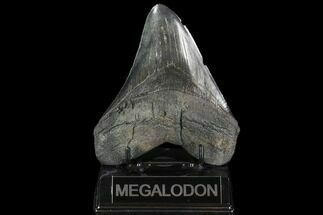 While all of those animals were at least 8 metres in length and often as large as 17.5 metres, they didn't match the length of Megalodon. 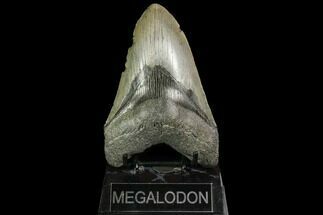 Megalodon size compared with a Whale Shark, modern Great White Shark and human. 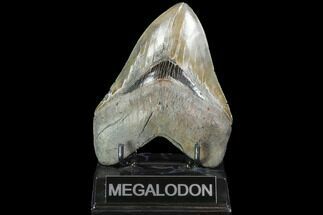 While many dinosaurs were heavier than Megalodon, they were no match for it based on their overall length. 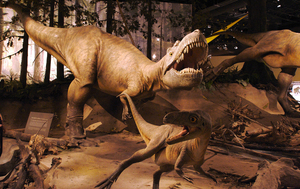 Weight is just one way to measure size, as well, since many animals can be larger but still be relatively light based on their total body size. 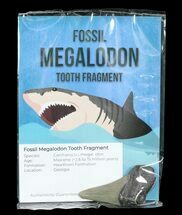 Such was the case for Megalodon. 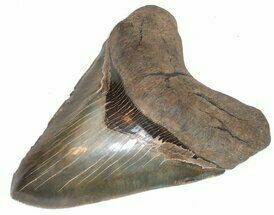 Although it was still quite heavy, it was not able to reach the kind of weight that some other animals achieved. 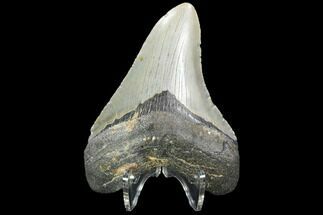 Despite its lower weight, its overall length and powerful jaws made it a highly formidable predator, capable of taking down whales and other creatures that were larger or that weighed more. 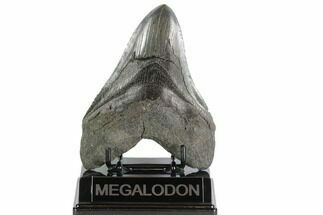 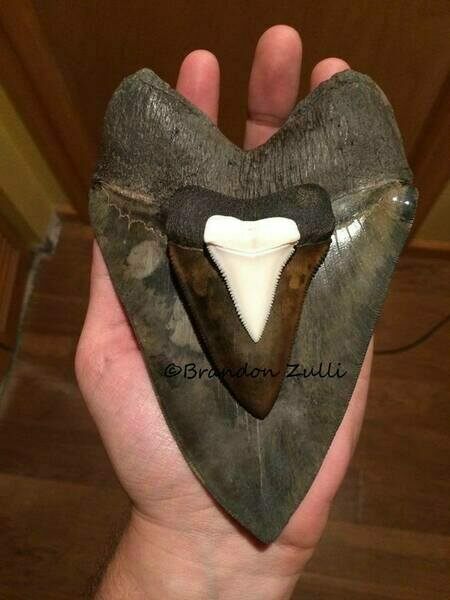 Among the great ways scientists used to determine the true size of Megalodon was a study of the size of its teeth. 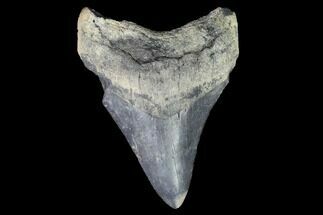 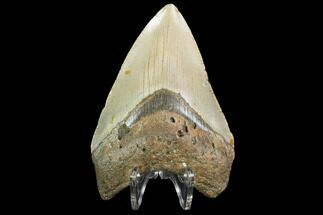 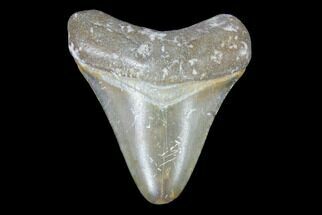 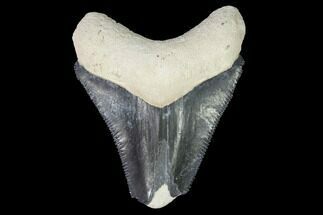 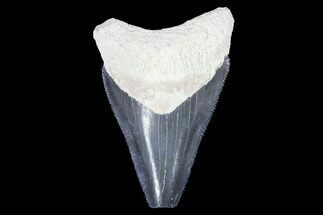 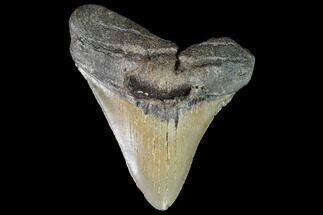 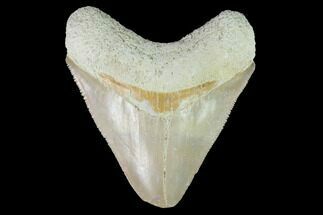 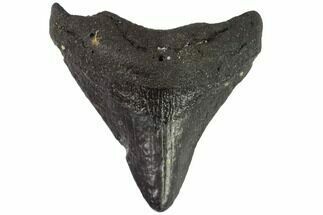 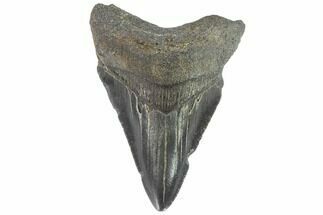 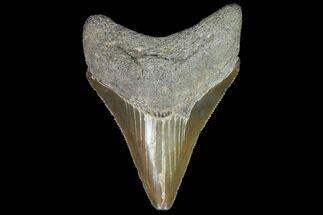 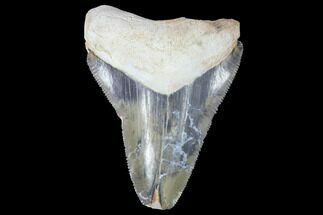 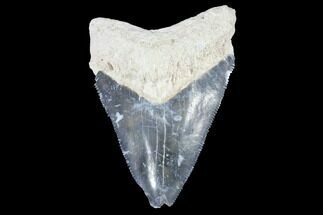 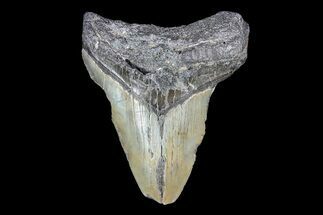 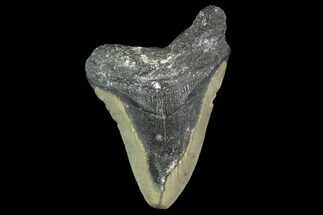 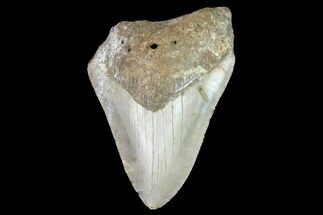 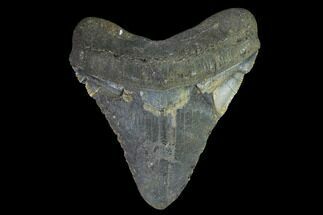 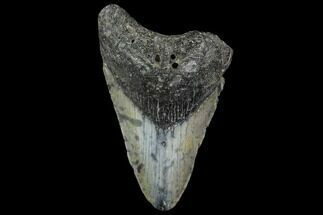 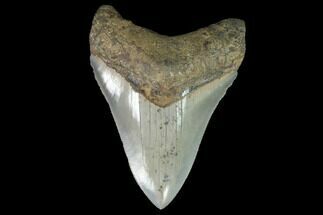 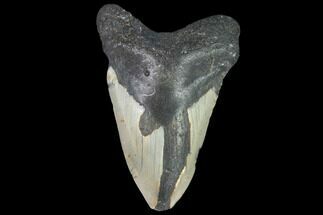 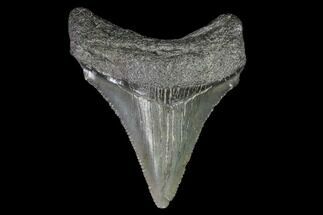 Some Megalodon teeth have a slant height of more than seven inches, which is a very large tooth. 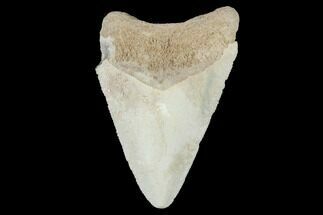 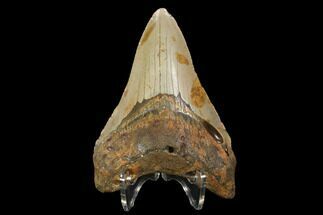 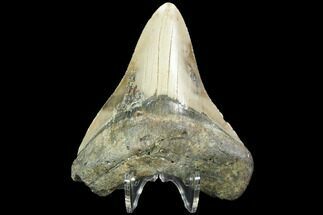 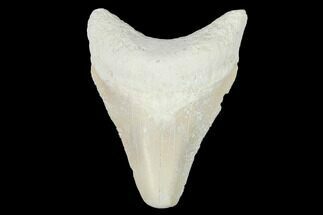 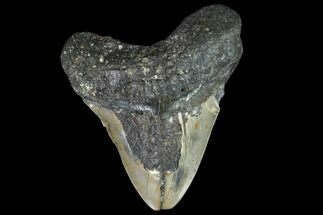 Using that tooth to determine the body size of the animal is something that has been done in living sharks today, and those calculations were then used to determine an overall, expected size for Megalodon. 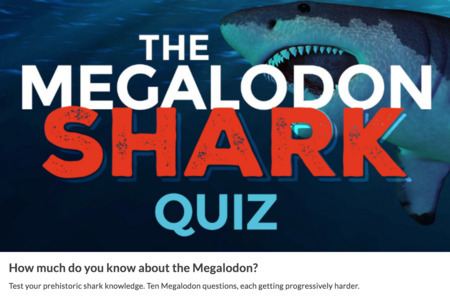 Still, there may be some inaccuracies. One of the biggest problems with determining the size of something like Megalodon is that sharks are made mostly of cartilage, not bone. 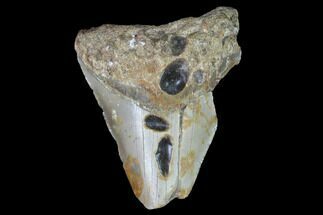 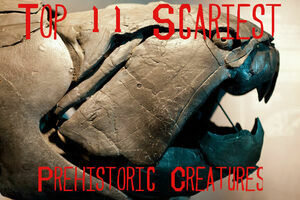 Cartilage doesn't fossilize well, so finding intact specimens is not possible. 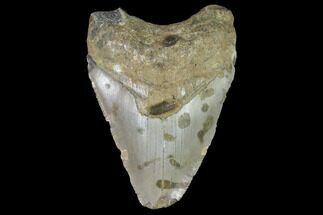 Instead, it is only possible to find pieces, like vertebrae and teeth, that can be used to attempt reconstruction. 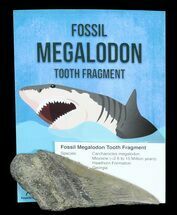 Some of the ways scientists attempt to measure Megalodon size include enamel height, root width, largest anterior tooth height, and crown height. 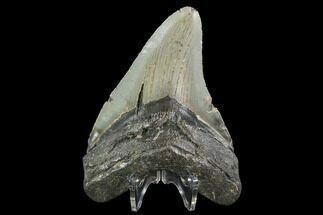 Each one of those methods can result in different findings and different beliefs regarding the size of Megalodon. 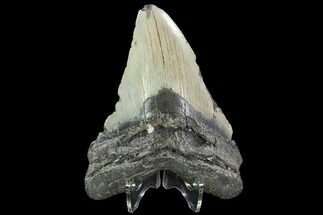 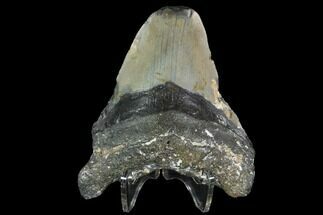 Because of all the different methods of studying teeth that have been used to determine the true size of Megalodon, scientists still cannot completely agree on how big Megalodon actually was. 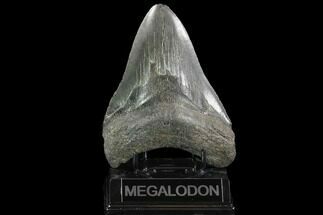 Opinions of Megalodon's size range from 52 feet all the way up to 82 feet, with most of the scientific consensus remaining on the lower end of that range.